Last week we posted four pictures from summer weddings that we have done in the past. 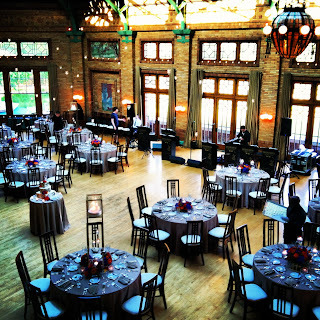 Since summer in Chicago is beautiful, it is a popular time for weddings. We made this a two-part series so that you could see all the different types of weddings that can happen with the right venue! We hope these pictures give you inspiration as you plan the wedding of your dreams this summer! Ceremony and Reception at the Crystal Gardens at Navy Pier with catering by Stefani’s and event decor by Event Creative. 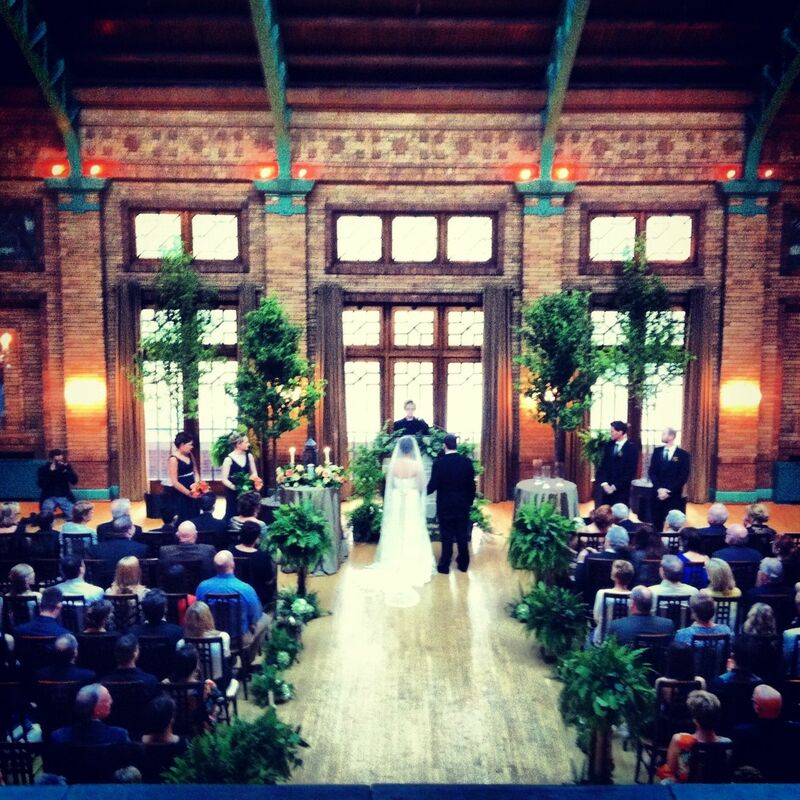 This wedding took place at The Nature Museum with catering by J&L Catering. This reception was by Radisson Blu Aqua with floral by Cattleya Designs and lighting from Art of Imagination. Prairie Production hosted this wedding with catering by J&L Catering and floral by Exquisite Designs. 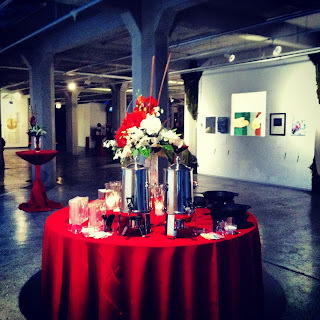 Here is a reception at the River East Art Center with catering by Jewell Events and floral and decor by Flower Firm. This next series that we are featuring is a wedding recap by season! The first season we are looking at is one of my favorites, the Fall! What you are going to see if a combination of fall like weddings, in hotels, venues, and unique spaces. Take a look! Here’s a wedding at the MCA, with Wolfgang Puck Catering and Cattleya Designs for decor! 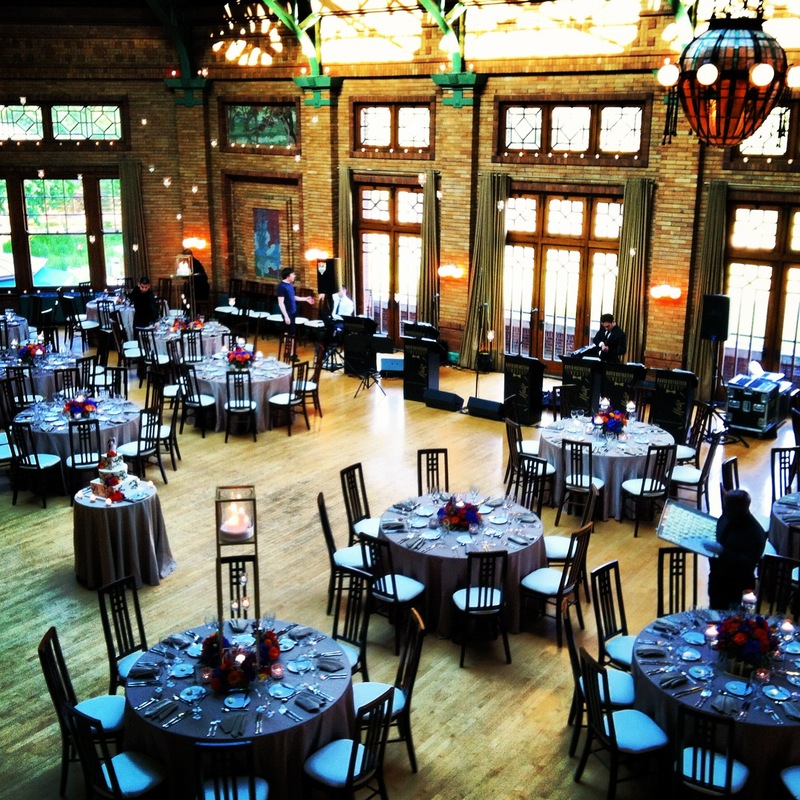 This fall wedding took place at Cafe Brauer with Entertaining Company and Kloeckner’s Floral. 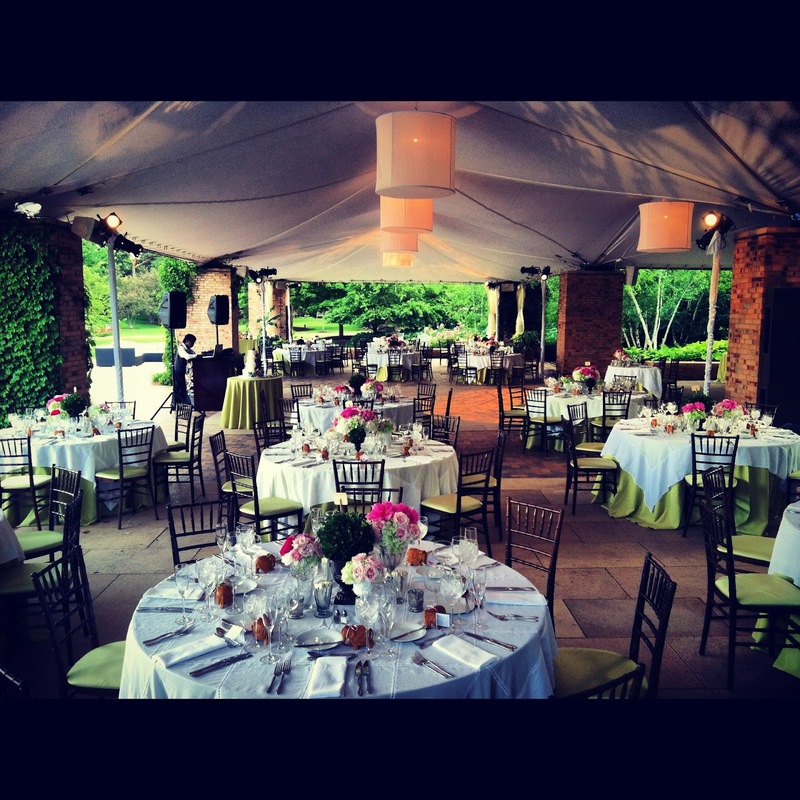 This amazing wedding at A New Leaf featured food by J&L Catering and floral by A New Leaf. This wedding at Loft on Lake features floral by Jozef Cross Designs & draping by Art of Imagination. One of the weddings we had this year was custom built for this couple. We had everything from the lamp & candelabra centerpieces made to the linens. Take a look at how Stefani’s Catering, Jesse with Event Creative, Maggie Speaks, Sarah & Ryan with Miller + Miller Photography and everyone else that made this wedding possible! This was also the last wedding I worked with my friend and colleague Sheree Figler with Tablescapes. Sheree was a gift to the Chicago Wedding Industry, a talented designer, and a perfectionist. I miss her and am thankful we had the opportunity to go out with a bang. She had the linens custom made for this wedding because she knew it was necessary! This wedding recap is from one of the weddings we planned at The Chicago Botanic Gardens. This is a great venue nestled in the heart of The Gold Coast. It happens to be one our preferred places to work. The team at The Newberry is great to work with! The team that day consisted of Sally & Anthony from Liven It Up Events as the planner, Jesse with Event Creative, Misty Winter & her photography team with Misty Winter Photography, and Fig Media as the deejay. This turned out to be a beautiful wedding even though the rain eventually came, by that point the cake was cut, the toasts were given and we were all under the tent! Take a look a just a couple shots Anthony & Sally got from the evening! Cake! Those butterflies were placed on the cake by Anthony & Sally! From afar, the tent had a glow to it after the dinner was underway! 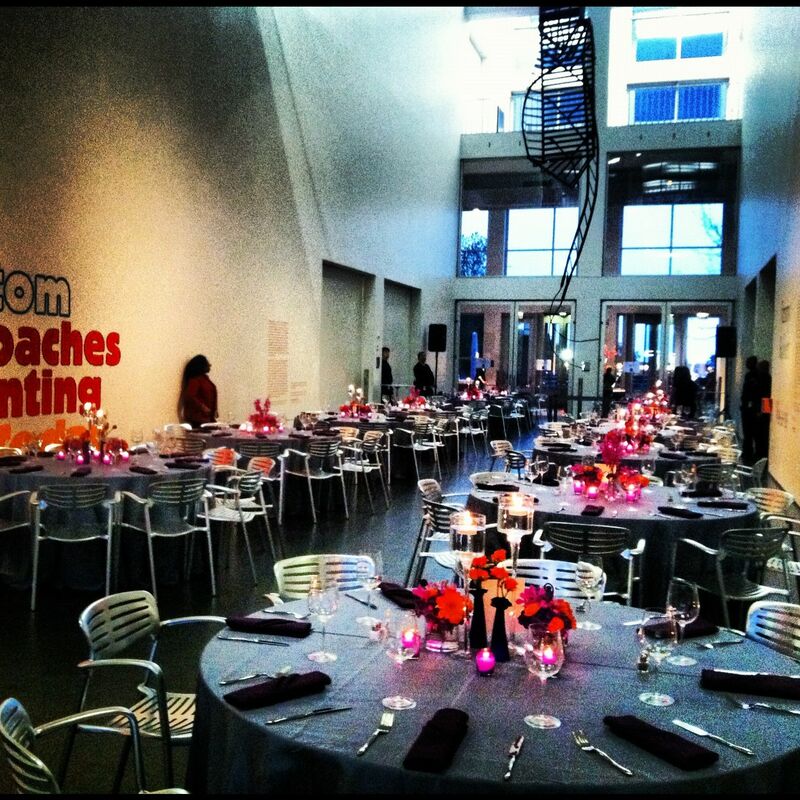 Liven It Up Events is truly lucky to have the planning talents of Sally Collar on the team! Sally has been working in the event world for about 15 years! 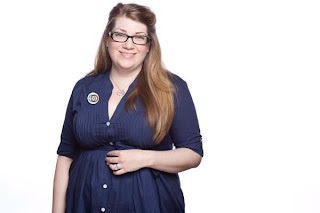 She is knowledgeable, has an eye for design, and is a calming voice on wedding day! See how Sally can help make your wedding day a memorable one! Sally Collar, Senior Planner, has turned out phenomenal weddings and corporate events for fifteen years, the last twelve in the great city of Chicago. She brings a true passion for combining venue, food, décor and entertainment to find the perfect creative expression of her clients’ vision. Leveraging her personal network and experience in restaurants, hotels, venues and catering, she helps to realize those plans with flawless and budget-conscious execution. At the end of the day, she believes connecting personally with her clients is what makes it all possible. Here are some of Sally’s weddings & events she has done below! Sally worked at The Chicago Botanic Gardens with an amazing crew! Event Creative made this wedding magical and memorable! 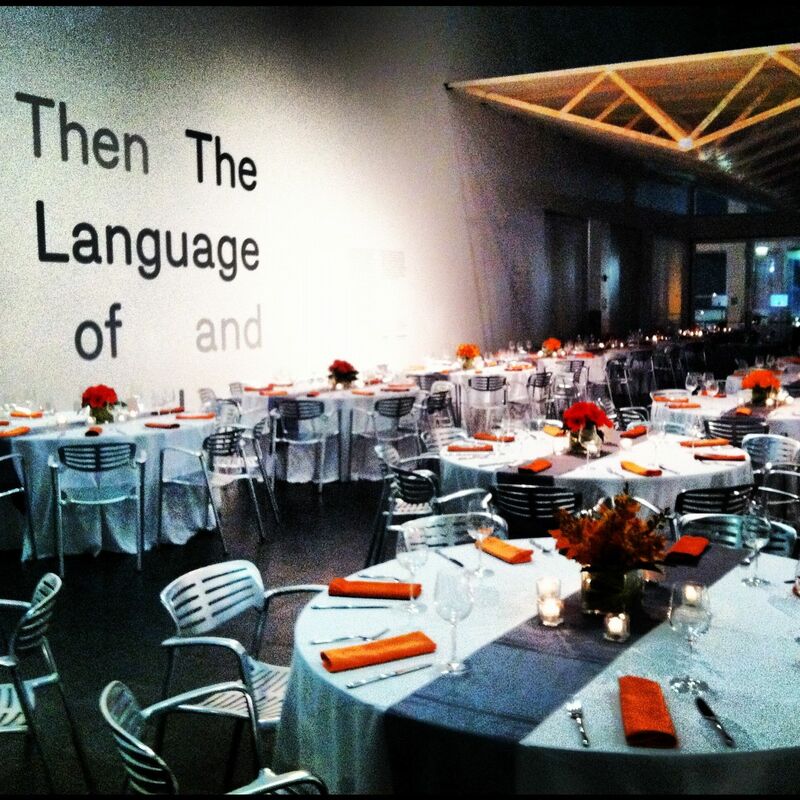 This wedding was at the Museum of Contemporary Art with a great spread provided by Wolfgang Puck Catering and floral by Davenport Designs. Here you will see a co-planned this fundraising event at The Zhou B. Art Center for Lakeside Community Development. J and L Catering provided food for this amazing cause. Learn more about the 2nd Annual Art of Home coming October 2012. In our final recap of wedding receptions of all sorts, we are looking at some modern weddings! Take a look at some of our favorites! 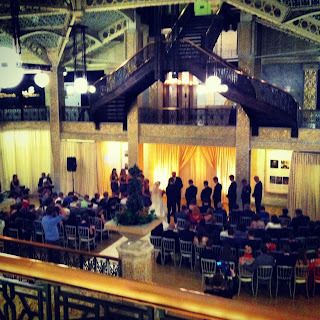 This first wedding, you can see was at The Rookery. This was an intimate wedding, with Art of Imagination & Flora who both made this wedding show it’s modern, elegant edge! This next week took place at Cafe Brauer. (We work at Brauer a ton and love to share our work there!) With the help of Scarlet Petal and Blue Plate Catering, this indoor space became the bride’s dream of having an elegant, back yard wedding! Finally, one of our weddings that has been a huge hit on Facebook & Twitter took place at the Crystal Gardens at Navy Pier. With the help of Stefani’s Catering creating a customized menu, Event Creative customizing all of the decor pieces, Maggie Speaks keeping the party going all night and Miller + Miller Photography capturing the wedding, it was an affair to remember! In this post, we are looking back at wedding receptions where the ceremonies were in religious institutions. One was at KAM Isreal Temple in Hyde Park where the reception followed at Cafe Brauer. 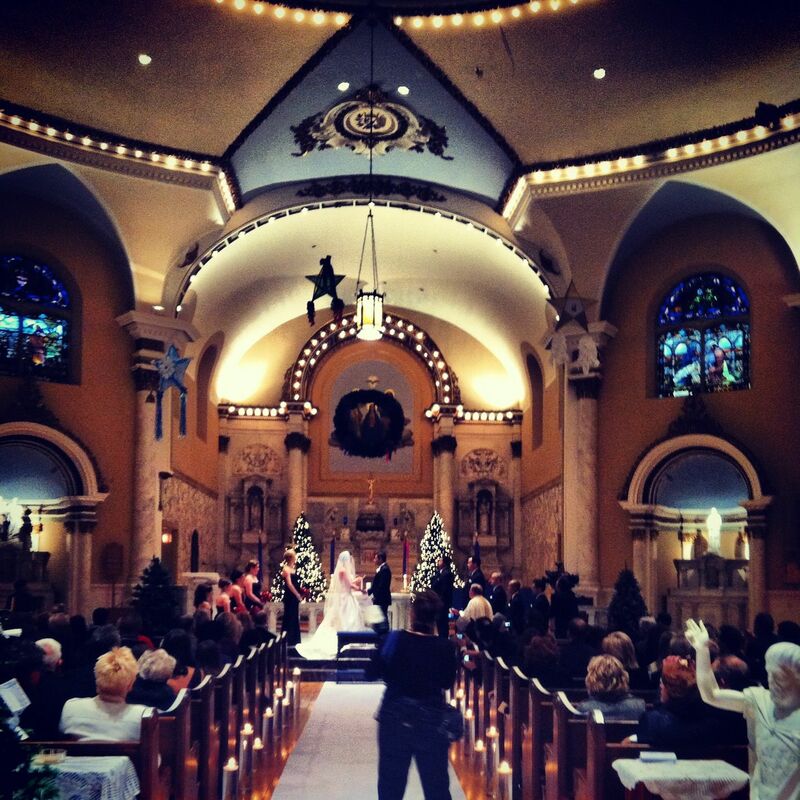 The other wedding took place in a church and the reception was to follow at The Palmer House Hilton. Take a look! 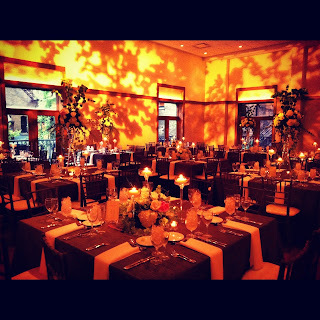 Here you will find the reception that took place at Cafe Brauer. We were delighted that a few weeks before the wedding, not only was I named Social Event Planner of the Year by Biz Bash, but Limelight Catering was voted Caterer of the year, Event Creative won all sorts of Biz Bash Awards and Maggie Speaks kept the night going all night long. Fig Media captured the entire wedding on film and because of the talent of photographer Olivia Leigh, we were published in Martha Stewart Weddings! This was an amazing team of vendors. Watch Thursday for the final recap of Wedding Receptions of all Sorts! 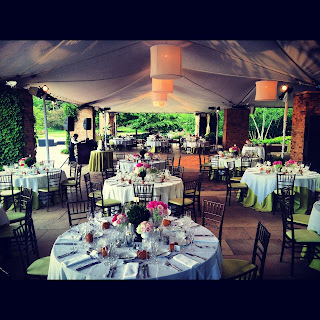 Many times when you have an outdoor wedding ceremony, at least here in Chicago, the reception will be held inside. See some of the outdoor weddings that we have done and then moved the guests, indoors, or almost indoors for the wedding reception! 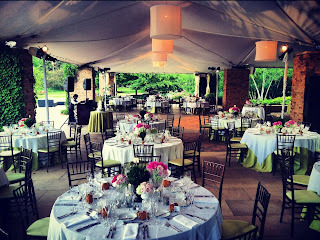 The first look at a garden wedding to the interior is from the Chicago Botanic Gardens. The reception was held under a tent, over looking a pond with the sides of the tent left open. Event Creative did a great job with the floral and lighting to make this garden wedding come to life! Here you will see the indoor space at The Ivy Room. The room was transformed to look like an indoor garden with lighting by Art of Imagination and floral by Davenport Design! Here is another look at The Great Hall Cafe Brauer with some lovely florals by Alison at Stems making this room just glow! As the night went on, the hanging candles from the ceiling helped create the perfect ambient mood! Watch next week as we look at some more wedding reception transitions! This is the final installment of Ceremonies of All Sorts. This post you are going to see all modern weddings we have done. 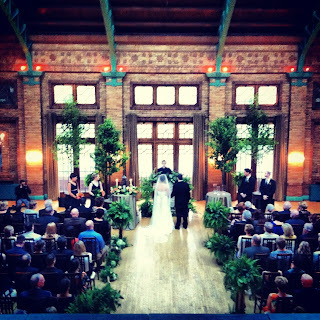 In my mind, what constitutes a modern wedding is a wedding at a unique venue for a wedding, like The Rookery, Cafe Brauer, and The Crystal Gardens at Navy Pier. Take a look at some memorable ceremonies. Here was a beautiful wedding at the Historic Rookery Building. Down below you’ll see the fabric draping and lighting by Art of Imagination. It was a gorgeous ceremony! 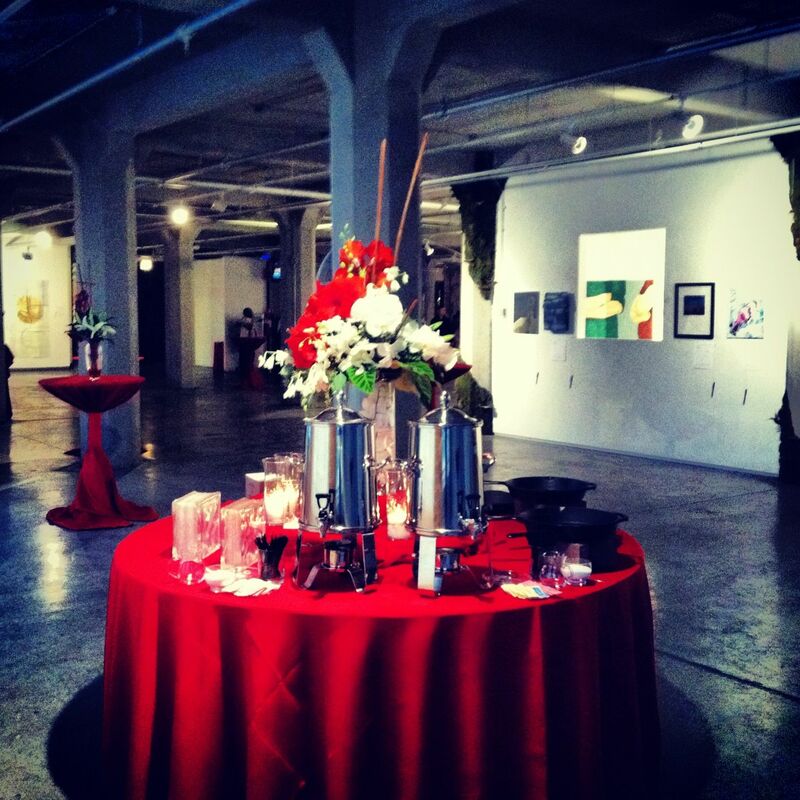 Here you’ll find us at Cafe Brauer with Scarlet Petal & Blue Plate Catering. The wedding was gorgeous and we were able to make the couple, very, very, very happy! 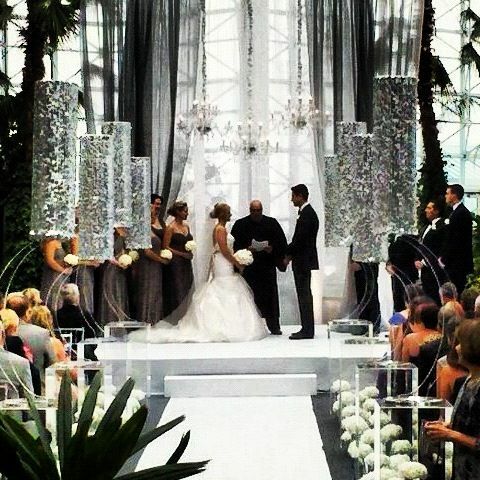 The final modern wedding ceremony took place at the Crystal Gardens at Navy Pier. 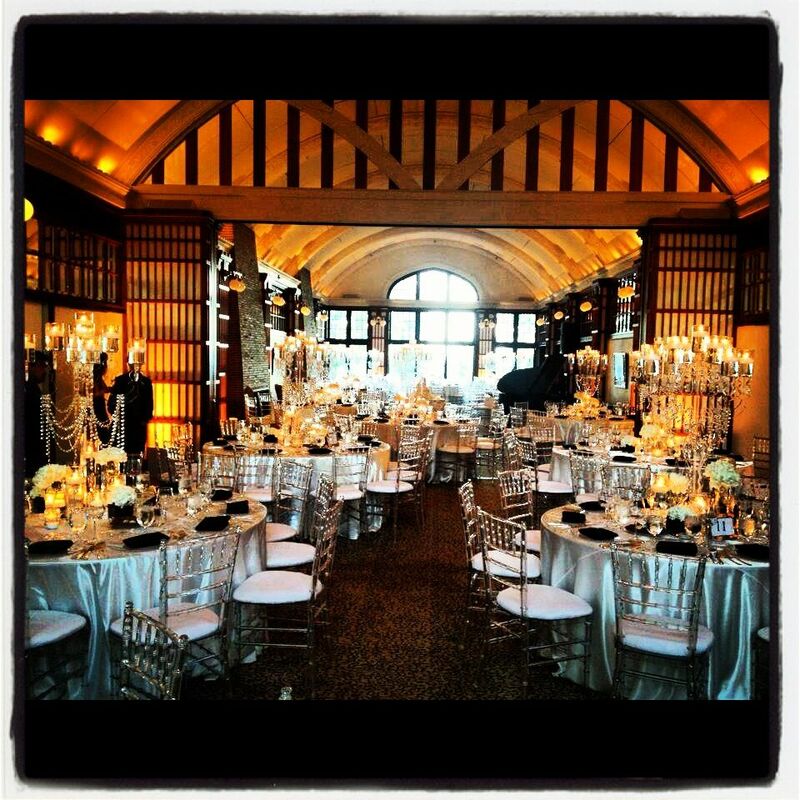 Jesse from Event Creative took this one over the top, and with Stefani’s Catering it really was an amazing wedding! Thanks for following this series! More to come next week! This installment of the look at Ceremonies of All Sorts focuses on Traditional Ceremonies. You will see two shots below. 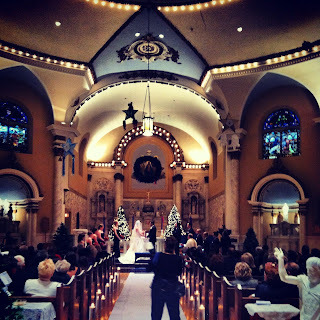 One was a Catholic Wedding that was taken in a church and another was a Jewish wedding taken at a synagogue. Take a look! Here you are going to see a wedding snap shot at KAM Isaiah Israel (across the street from President Obama’s home) in Hyde Park. 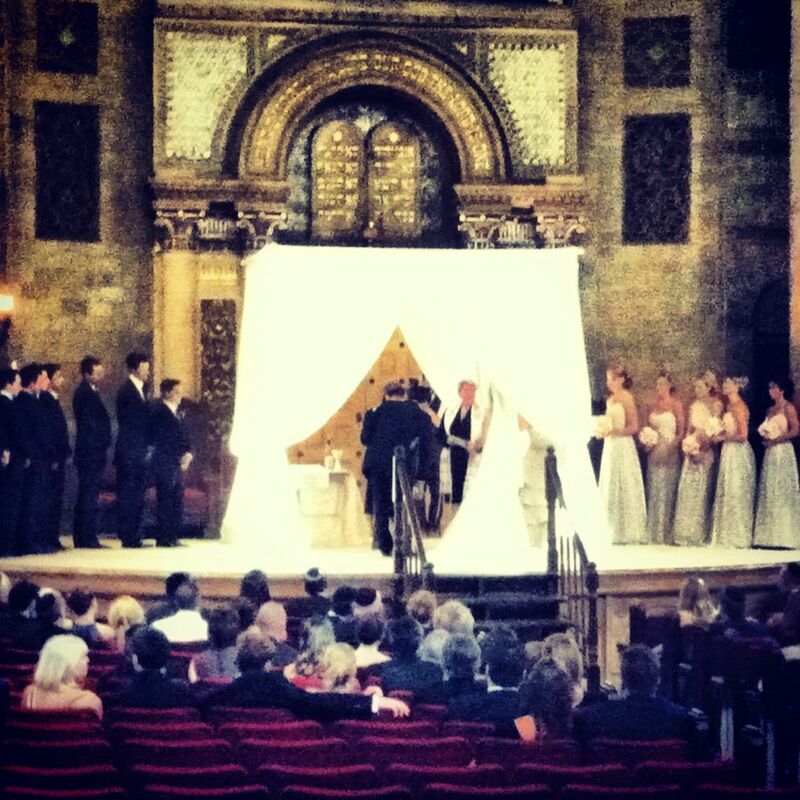 The Chuppah was provided by Event Creative. Here you will see a Catholic wedding taking place at a Notre Dame Cathedral. The floral down the aisle was provided by Fragrant Design & that is photographer, Angie Garbot in the aisle doing her job! The final installment of Ceremonies of all Sorts will be published on Thursday, July 12th! Watch out for it!